GATES Standard Belt 663X18X28 replaces the following: Kinrod, Blade, Boxer Sahara, Powersports 150DX. Gates belt 20503. Standard duty. Measures: 5/8"x25-3/4". Cosmopolitan Motors 663X18X28. 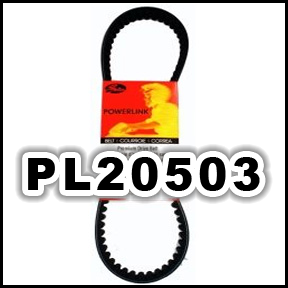 GATES Powerlink Belt, Gates part PL20503. Standard duty belt.